Serena Williams takes a break during a changeover against Naomi Osaka during the women’s final of the U.S. Open tennis tournament Saturday in New York. 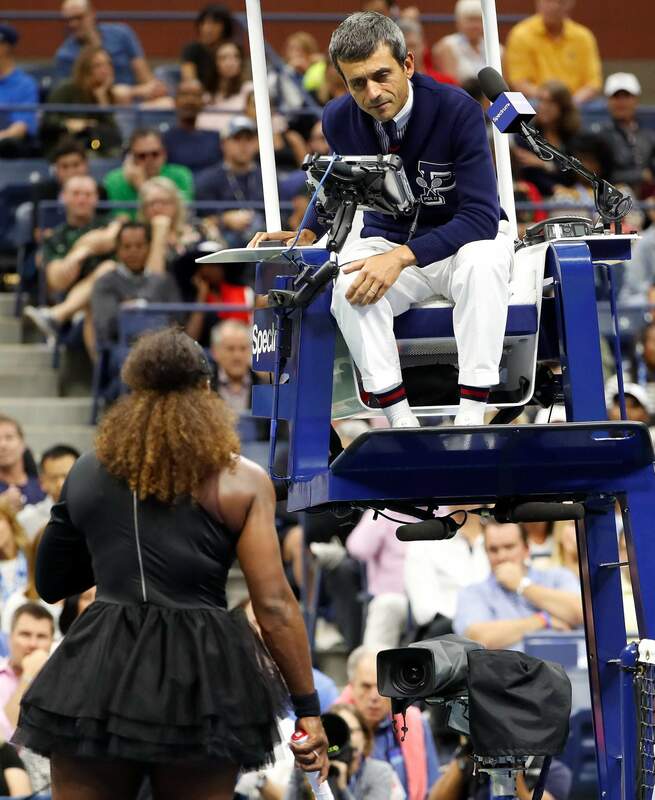 Chair umpire Carlos Ramos talks with Serena Williams during the women’s final of the U.S. Open tennis tournament against Naomi Osaka. 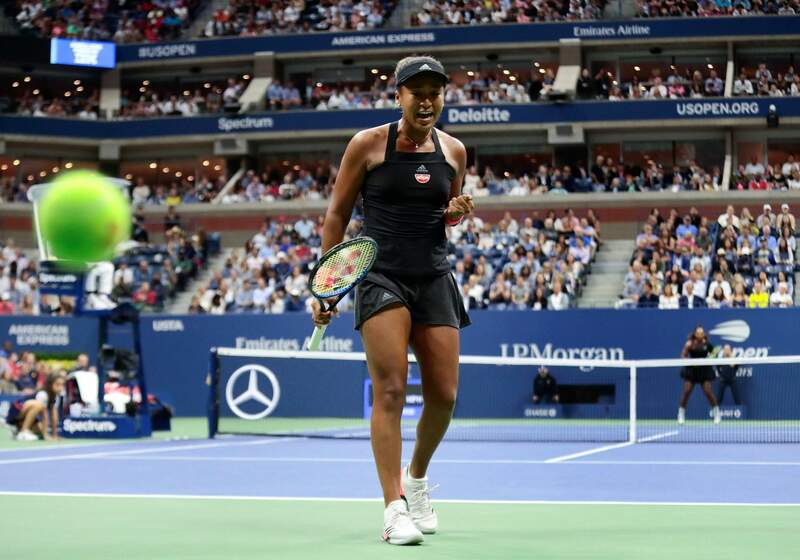 Naomi Osaka reacts after winning a point against Serena Williams during the women’s final of the U.S. Open tennis tournament Saturday in New York. 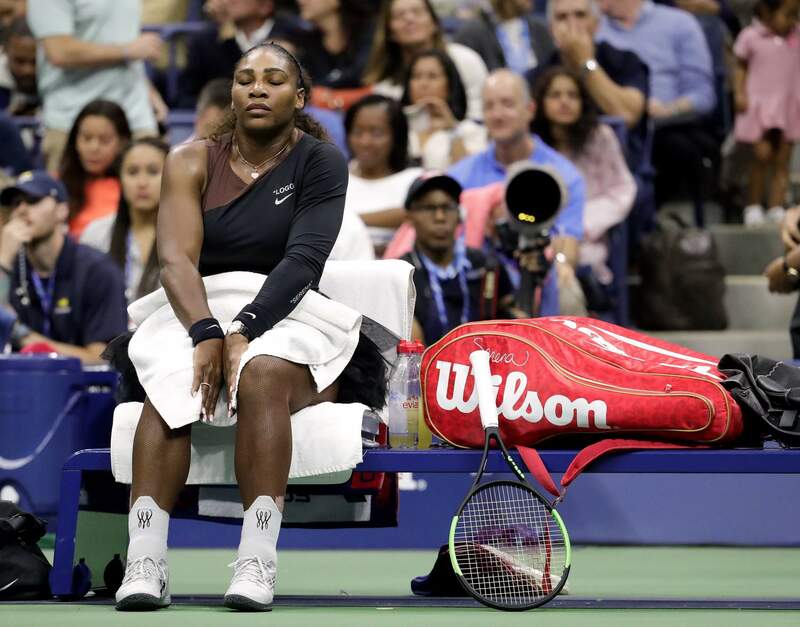 NEW YORK – Serena Williams was penalized a game for calling the chair umpire a thief during an extended argument as the U.S. Open women’s final descended into chaos, with fans booing and play delayed before Naomi Osaka wrapped up a 6-2, 6-4 victory for her first Grand Slam title.